Spanish traditions and culture are becoming increasingly popular in Russia. First of all, it was proved by “crossover” 2011 year of Spain and Russia, during which hundreds of events took place at very different levels. It put a considerable pace to the expansion of ties between the civil societies of both countries. Echoes of the “Crossover Year” continue to sound till present. Moscow has recently held its annual charitable meeting of Yuri Rozum International Fund which was devoted to the Day of Children Protection. Spain was chosen as the main theme of the meeting. Young musicians - applicants and fellows of scholarship of the Fund performed works of famous Spanish composers. Yuri Rozum believes that the concert was somehow a report of young talents to their patrons. “We now have 60 fellows throughout Russia, and the Fund is now accepting new children - he said happily. - Talent, of course, needs support, it can die without it.” Maestro stressed the number of partners of the Fund is expanding. On this day SPANISHABITAT company joined the Fund. It has been working for only a year but the chairman of the board Konstantin Shapovalenko, one of the founders of the Fund, has been cooperating with Yuri Rozum since its establishment. An auction was held at the charity event, lots for which were provided by partners of the event and the Fund. The lively auction was caused by a beautiful flamenco dress, a violin and a golf ball made by Spanish jewellers, an exclusive Spanish wine, as well as china by famous brand LLADRO. One of the missions of SPANISHABITAT company is strengthening ties between the Russian- and Spanish-speaking countries in such fields as culture, economy, real estate and social issues”. 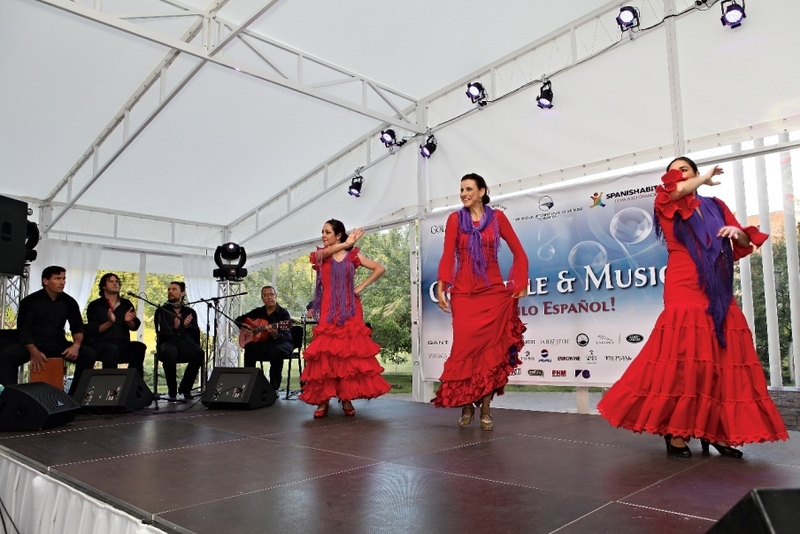 The culmination of the event was the performance of legendary Spanish flamenco Theater Carmen De Torres, which was invited to Moscow by SPANISHABITAT company. A young dancer Israel Martin Robayo took part in the child’s part of the concert, and the titled dancers completed the evening by inflammatory performances. The concert was attended by over 250 people - representatives of political and business establishment, famous musicians and sport stars. By the end of the performance participants promised to keep the atmosphere warmed by the Spanish motives and be sure to meet in a year.